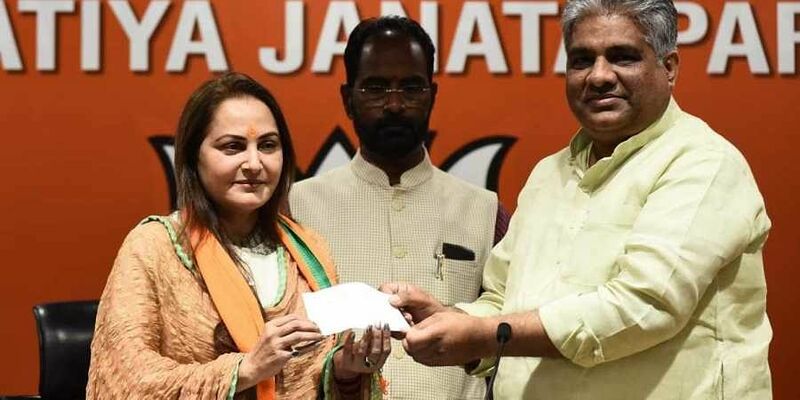 NEW DELHI: Actor-turned-politician Jaya Prada joined the BJP on Tuesday and may be fielded by the party from the Rampur parliamentary constituency in Uttar Pradesh. Jaya Prada, a close associate of former Samajwadi Party leader and Rajya Sabha MP Amar Singh, had been elected from Rampur on SP ticket twice. Jaya Prada joined the Telugu Desam Party (TDP) in 1994 at the invitation of its founder N T Rama Rao, on the eve of the assembly elections, and rose quickly through the ranks. At that time there was speculation that she would run for election, but she preferred not to make her electoral debut, although she was offered a seat by Rao.